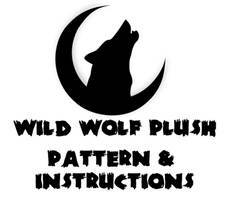 Thank you very much for sharing your pattern and instructions on how to make a wolf plush. Do you have a step by step instructions on how to put the wolf together? Thanks so much! I have a question though, does this pattern have a seam allowance? I admire people who can create a pattern from the start and it all goes together. Many thanks for sharing. THANK YOU SO MEANY ARE JUST OUT FOR MONEY DON'T GIVE PATTERN OR WITH NO INTRUSIONS THANK YOU LOVE. this is perfect for a gift im making! Thank for the great pattern! I've been looking for a canine plushie pattern for a while thanks for posting this! thanks for sharing this wonderful pattern! question, does the pattern already have the seam allowance? There's no seam allowance - I find it easier not to add once since you'd have to redraw it at different sizes anyways. Holy sh*t! This is awesome!!! Thank you so much! Thanks for sharing! I may be making one as a gift!